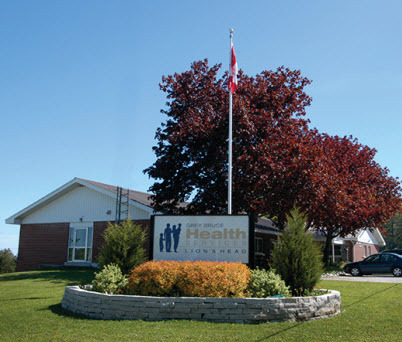 The Lion’s Head Site of Grey Bruce Health Services experiences a high seasonal volume. Approximately 25 staff and four physicians work at this site which offers 24/7 Emergency care, acute care, inpatient and outpatient physiotherapy, phlebotomy and x-ray services. Full Diagnostic Imaging services including MRI and CT can be accessed at GBHS, Owen Sound. The Peninsula FHT works out of two sites (Lion’s Head and Tobermory). The Tobermory site also houses the Tobermory Hyperbaric Facility, focusing on hyperbaric medicine. The FHT works collaboratively with other healthcare agencies, including CCAC , mental health and community & social services. Our Physician Group also provides care to the residents of the local long term care facility. There are many places to see and plenty of things to do on the Bruce Peninsula. Tobermory is a perfect spot for anglers, boaters and sailors. Hike to the edge of the escarpment on Gun Pointe route for a perfect view of Georgian Bay. 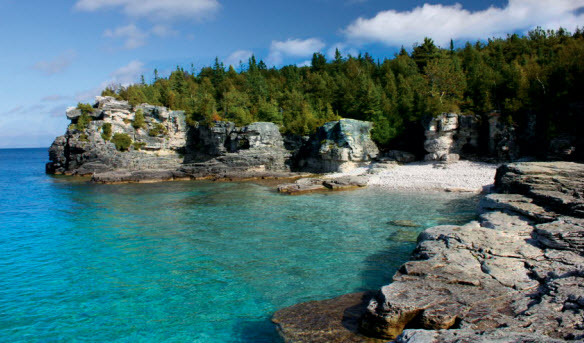 Tobermory has many beaches, and offers diving, hiking, kayaking and golfing. Art lovers would appreciate the breathtaking scenery. There are 25 staff and four physicians at Lion’s Head site od the Grey Bruce Health Services hospital system. There is high seasonal volume in the Emergency Department, which offers 24/7 emergency care, acute care, pre-school speech therapy, diabetes, education, laboratory, x-ray, physioheraphy and hyperbaric medicine. The Peninsula Family Health Team is a primary healthcare team that includes family physicians, nurses, nurse practitioners, a social worker and a Community Care Access Centre (CCAC) case manager as well as other healthcare providers and agencies.